The Thousand Oaks Chabad Jewish Center provides services and programs to serve the needs of the entire spectrum of Jews: young and old, regardless of affiliation or religious observance levels. We are solely donation based, with no membership fees or dues. We offer Synagogue services, a comprehensive Hebrew school, adult education, Jewish holiday and social programs. Rabbi Bryski's areas of expertise include Jewish Law, the Talmud, and mysticism. He has extensive experience teaching Kabbalah and has lectured in many U.S. cities as well as in South Africa and the former Soviet Union. He is also an Affiliate Director of the Rohr Jewish Learning Institute-Thousand Oaks. Rabbi Bryski enjoys leading inspirational tours of "Chasidic" New York and Eretz Israel. He enjoys hiking, nature and teaching Judaism. He is excited to share the relevance and wisdom of Judaism with those who are unfamiliar with it. 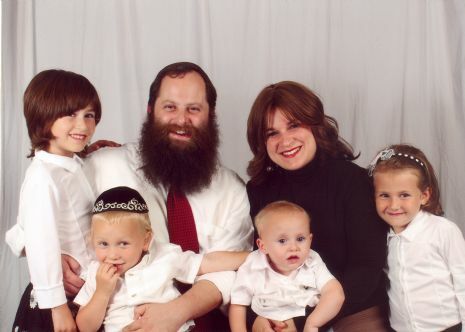 He and his wife, Rebbetzin Shula Bryski, are the proud parents of five children. 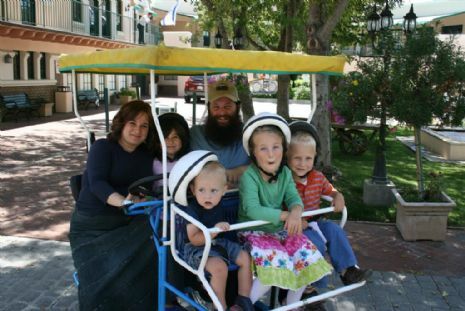 Rabbi Bryski loves to take his children camping and on outdoor trips. Shula Bryski was raised in Crown Heights, New York, and attended Seminary in Melbourne, Australia. She studied early childhood education and earned a teacher’s certificate. After completing her studies, Rebbetzin Shula led a music program that instructed young children in the Yiddish language through music. She taught over 200 children each week with the innovative use of instruments, drama, and song. Rebbetzin Shula moved to Thousand Oaks nine years ago together with her husband to establish and co-direct the Thousand Oaks Jewish Center. She enjoys programming its Women's Circle programs and is also Director of the Hebrew School. Her warmth and experience combine to make her an effective teacher and motivator. In her free time, Rebbetzin Shula enjoys playing with her five children. She also enjoys writing, and playing and teaching piano.